The Wilson Federer 100 tennis racket provides extra manoeuvrability thanks to the head light balance and features a 100in2 (645cm2) head. The racket offers flat frame geometry along the string bed for more performance and powerful shots. It is inspired by Roger Federer’s racket of choice and has an open (16x19) string pattern for more spin and an amazing feel. 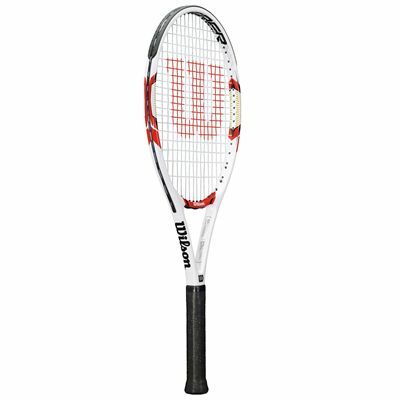 for submitting product review about Wilson Federer 100 Tennis Racket SS14.